Looking for a phone that won’t break the bank? 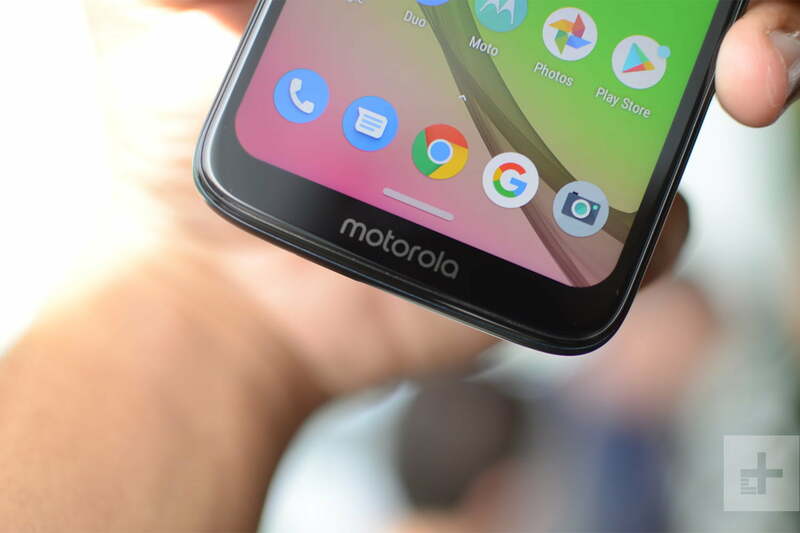 Motorola recently unveiled three smartphones as part of its 2019 Moto G-series range. These include the Moto G7, the Moto G7 Play, and the Moto G7 Power. The G7 Power is a new entry in Motorola’s G-series, replacing the Moto G Plus that’s usually an option. The Moto G7 Plus does exist though, but it’s not arriving on U.S. shores. Here’s everything you need to know about Motorola’s latest additions to its Moto G7 lineup. The Moto G7, Moto G7 Play, and Moto G7 Power are decidedly budget phones, so don’t expect to pay an arm and a leg like you would for a flagship phone today. The most expensive is the Moto G7, which costs $300. The Moto G7 Power comes in at $250, while the Moto G7 Play will set you back just $200. The standard Moto G7 is now available from the Motorola website, Best Buy, or B&H. The G7 Power and its behemoth of a battery is also now available from Motorola, Best Buy, and B&H. The G7 Play will be the last to release, with pre-orders starting on March 29 from Motorola, Best Buy, and B&H, with shipments starting April 5. Once the devices are available, you’ll also be able to find them on Amazon. 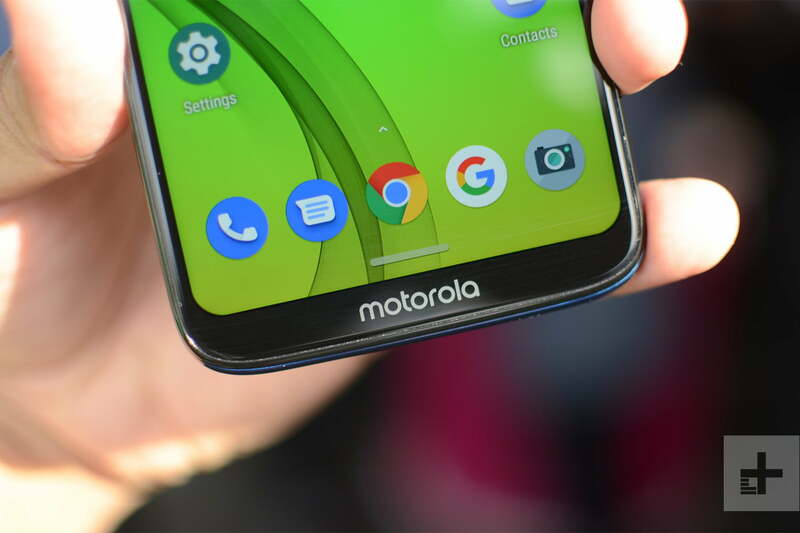 The flagship phone of the three is the Moto G7, the direct successor to last year’s Moto G6, and it’s clear Motorola has put a lot of work into modernizing it. 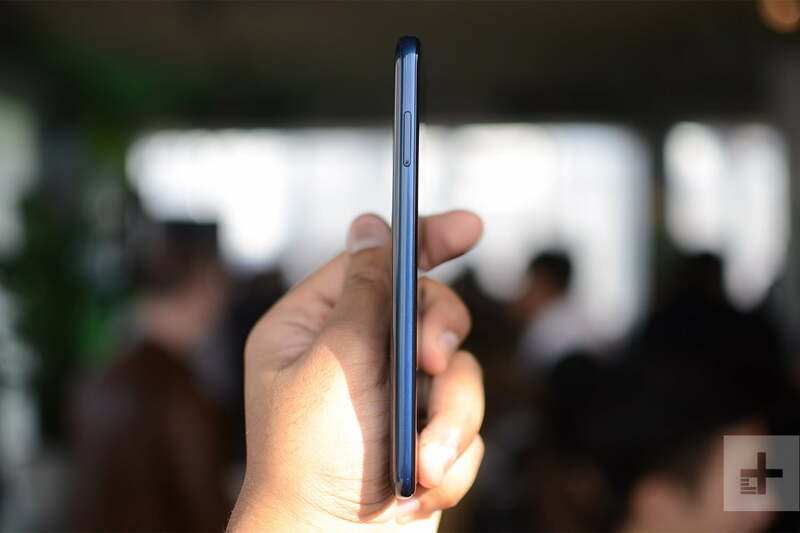 The G7 offers an “edge-to-edge” look with a small teardrop notch for the front-facing camera on the front, as well as a small “chin” at the bottom where you’ll find a Motorola logo. 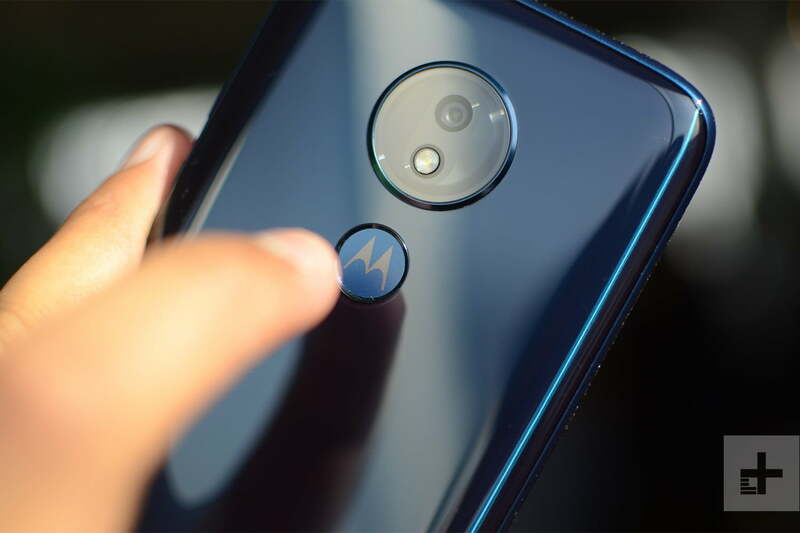 There’s no fingerprint sensor at the bottom of the device — instead, it has been moved to the Gorilla Glass 3 back, in the Motorola “M” logo. The screen on the front comes in at 6.2 inches, with a 2,270 x 1,080 resolution. Under the hood, the phone boasts a Qualcomm Snapdragon 632 processor, coupled with 4GB of RAM and 64GB of internal storage. The processor, in particular, represents a large improvement over last year’s Moto G6, which utilized a Snapdragon 400-series processor. The 600-series chip should be a lot more powerful, and Motorola claims the G7 is 50 percent faster than the G6. The battery size is 3,000mAh, which should be enough to get most people through a full day. 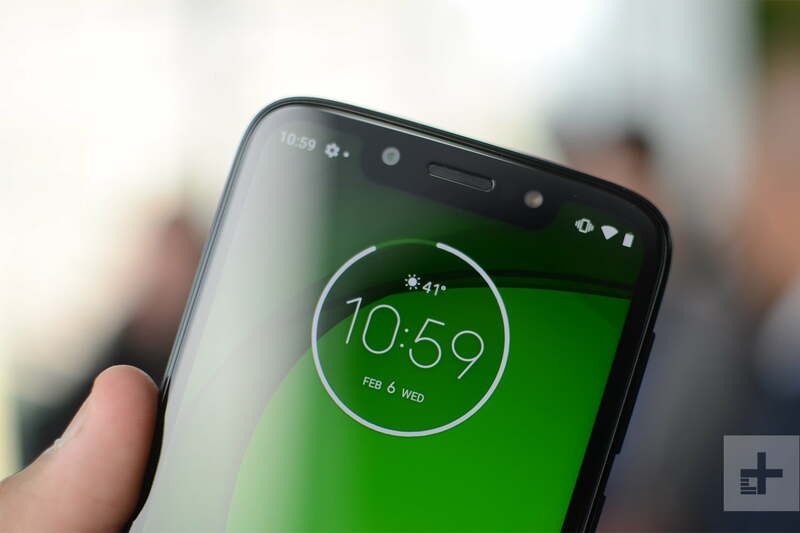 The camera specifications are similar to last year’s Moto G6, with a dual-sensor camera on the back that packs one 12-megapixel sensor and 5-megapixel depth sensor. On the front, the camera sits in at 8 megapixels. Motorola is touting a new Hyperlapse feature of its camera, which allows you to convert already-shot footage to a fast-motion hyperlapse video. Then there’s “Auto Smile Capture,” which automatically takes a photo when it detects that you’re smiling. There’s also High-res Zoom, which delivers better looking photos when you zoom in digitally. 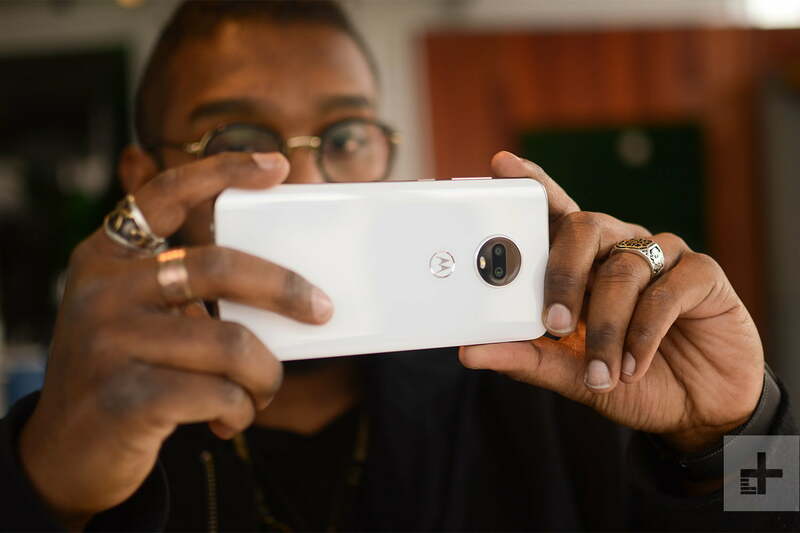 The camera has the other usual features we’ve seen on other Motorola phones like Portrait Mode, Cinemagraph, and Spot Color. There are a few things that Motorola could have updated for this device. The phone only supports Bluetooth 4.2, but Bluetooth 5.0 has been out for a while and offers valuable improvements, and there’s still no NFC, which is pretty disappointing as that means you can’t use any of these phones for contactless payments via Google Pay. Software-wise, the phone ships with Android 9.0 Pie, and is close to stock Android, in that it’s clean and uncluttered, and there’s no Motorola “skin” layered on top of Android from Google. 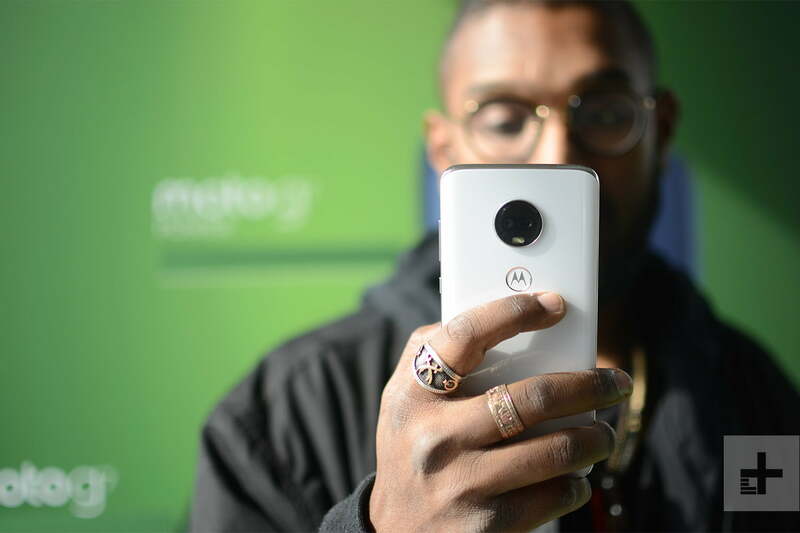 Motorola does add some unique features, such as Moto Actions that let you use gestures to trigger actions on the phone, like making a chopping gesture with the phone twice to turn on the flashlight. Sadly, this phone is only slated to get one Android version update (Android Q). It won’t get updates after that version launches from Google later this year. The Moto G7 Play has a lot in common with the standard Moto G7, like the fact that it ships with Android 9.0 Pie, but there are a few notable differences. For starters, the design is different — there’s more plastic used in the build materials, and the back is a microtexture resin. 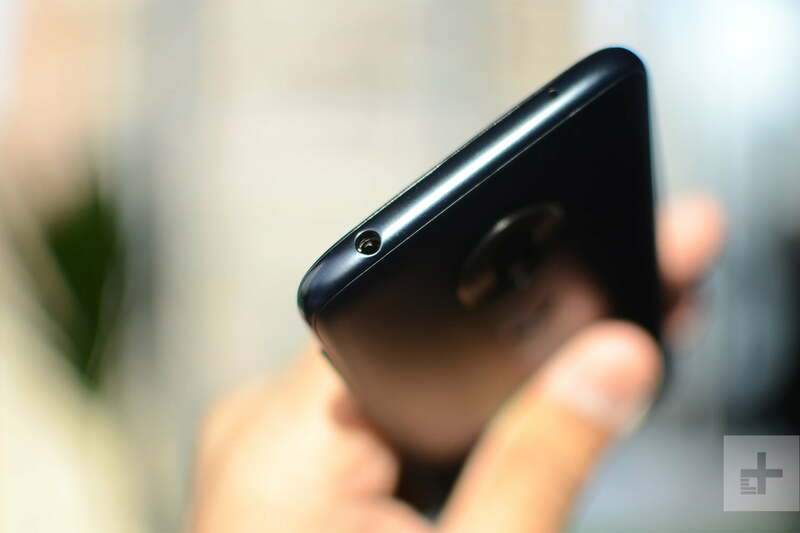 The phone is a smaller than the Moto G7, and while it retains an edge-to-edge design, it has a larger notch with a camera and a flash for lighting up those selfies. It does keep the chin with the Motorola logo. The display on the device comes in at 5.7 inches, with a resolution of 1512 x 720. Like the standard Moto G7, the G7 Play has a fingerprint sensor on the back. Under the hood, the phone also boasts a relatively powerful Qualcomm Snapdragon 632 processor, but has 2GB of RAM instead of 4GB, and 32GB of storage — though there’s a MicroSD card slot to expand on that space. The battery, like on the standard Moto G7, comes in at 3,000mAh. The camera is a little bit different too. Instead of a dual-sensor rear-facing camera, there’s a single one. It’s a 13-megapixel lens with an aperture of f/2.0. The front-facing camera is 8 megapixels with an aperture of f/2.2. 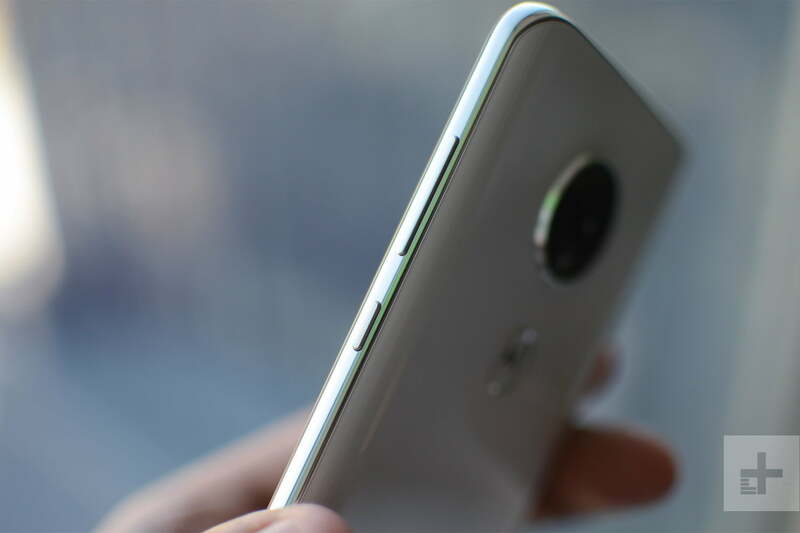 You won’t get the new Auto Smile Capture feature on this device — if you want it, you’ll need the standard Moto G7 — but the rest of the camera features are available including Hyperlapse and High-Res Zoom. Need a device that can get you through a little more than one day of use? The Moto G7 Power might be the phone for you. The phone has a design that’s quite similar to the Moto G7, but with a larger notch. It has the same 6.2-inch LCD display. The resolution is 1,520 x 720, so it’s not as sharp as the G7. Once again, there’s a fingerprint sensor on the back of the phone. Like the other two Moto G7 phones, the Moto G7 Power has a Qualcomm Snapdragon 632 processor, though the device offers 3GB of RAM instead of 4GB. It also has 32GB of storage with a MicroSD card slot for expanding on that. 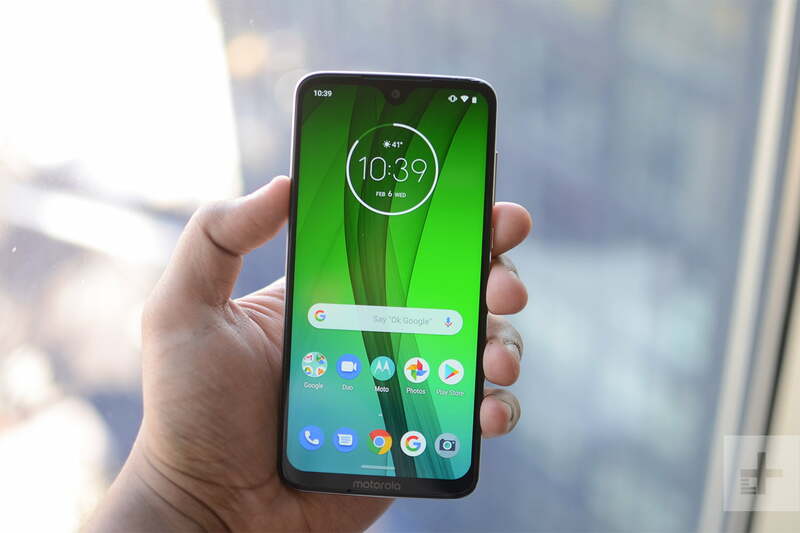 Perhaps the real reason to buy this phone, however, is the fact that it has a 5,000mAh battery, which Motorola claims should offer 60 hours of use. 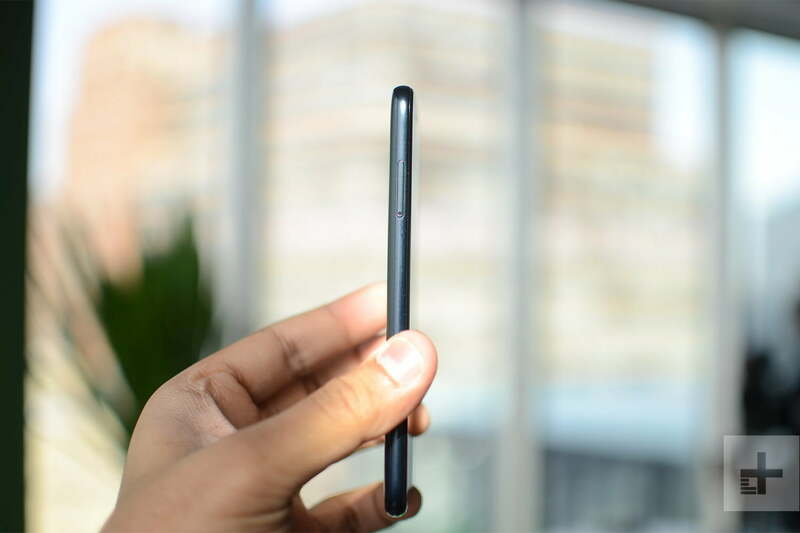 It does add to the thickness a little — the phone is 9.3mm thick — but for those that want a bit of extra juice, it may not matter. The camera on the phone is a single-sensor camera that comes in at 12 megapixels with an aperture of f/2.0. 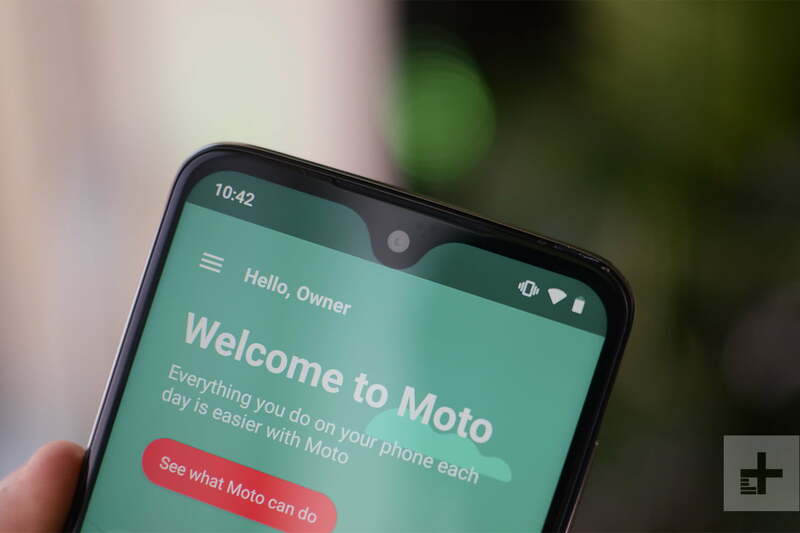 On the front, there’s the same 8-megapixel camera that you’ll find on the other Moto G7 phones. Motorola has made the Moto G7 Plus the camera powerhouse of the range — but it’s a phone you’ll only be able to enjoy outside of the U.S. for now. 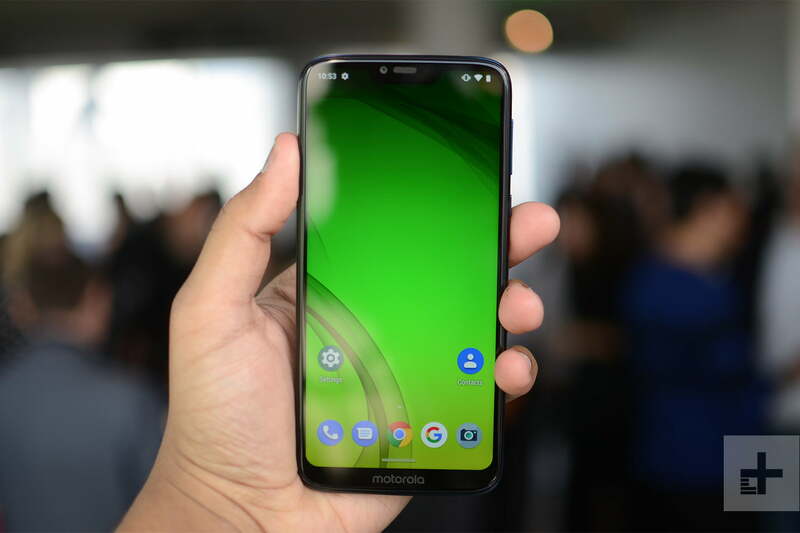 At first sight, the Moto G7 Plus is much the same phone as the Moto G7, with the same teardrop notch set into a 6.2-inch LCD display running a 2270 x 1080 Full HD+ resolution. But dig a little deeper and differences start to emerge. The Plus is rocking the slightly more powerful Snapdragon 636 — and is the only phone in the range to not use the Snapdragon 632 — which should provide a small performance boost, even with the same amount of RAM as the Moto G7. But the major changes are around the back of the device. Like the Moto G7, the G7 Plus comes with two rear-mounted camera lenses on the back, but they’ve both been upgraded to 16-megapixel lenses, and are backed up with optical image stabilization (OIS) that you won’t find in any of the other G7 phones this year. This combination should mean the G7 Plus excels at mobile photography, with movement and lower lights not proving as much of a challenge as they might be for the other phones in the range. Add this year’s new camera features like Hi-res Zoom, Hyperlapse photos, and Auto Smile Capture, and you should have a formidable budget shooter. But as we’ve mentioned, it’s not coming to the U.S. for the moment. Instead, the Moto G7 Plus is available now Brazil and Mexico, with a mid-February launch planned for Europe. Pricing for the Moto G7 Plus will start from 300 Euros (roughly $340). Updated on March 12, 2019: The Moto G7 Power is now available.